There was a battle. Cities and their chosen champions, plucked from time and space and pitted against one another for the right to exist. But some of those heroes united during this so-called Convergence and in doing so defeated their captor - a future version of the artificial intelligence known as Brainiac. And leading the charge, as usual, was Brainiac's greatest enemy - Superman! But now The Convergence is ended. And the Clark Kent and Lois Lane of an older Earth - who married and had a son named Jonathan together - find themselves in another world. A world that is darker and more suspicious than their own. A world in need of heroes. But this world has a Lois Lane and a Clark Kent of their own, who have their own destinies to fulfill. So Lois and Clark go into hiding, disguised as an ordinary farm couple, while still doing what they do best. As the years pass, Lois becomes a famous yet anonymous author of books that expose government corruption. 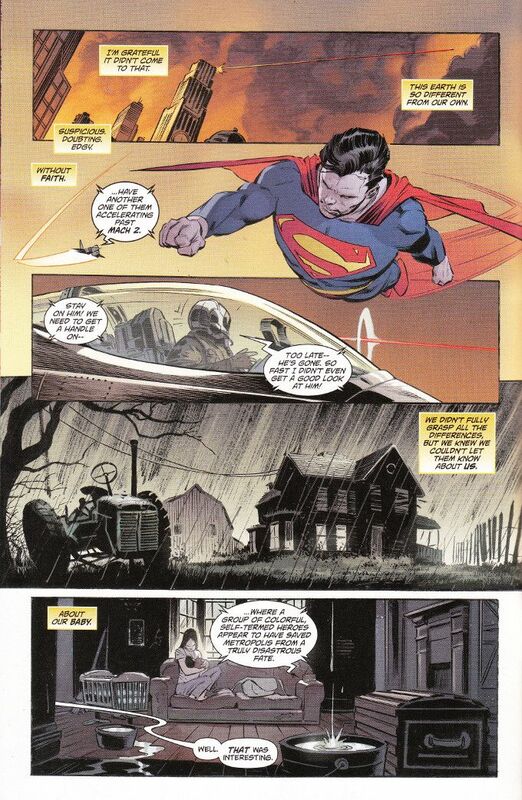 And Clark continues to do what good he can, subtly, when he isn't tending to their farm. It is a good life but it is about to become far more complicated than even they could have imagined! Attention DC Comics fans who have been displeased by recent events in the Superman books or just generally unhappy with The New 52 universe in general! Our prayers have been answered! 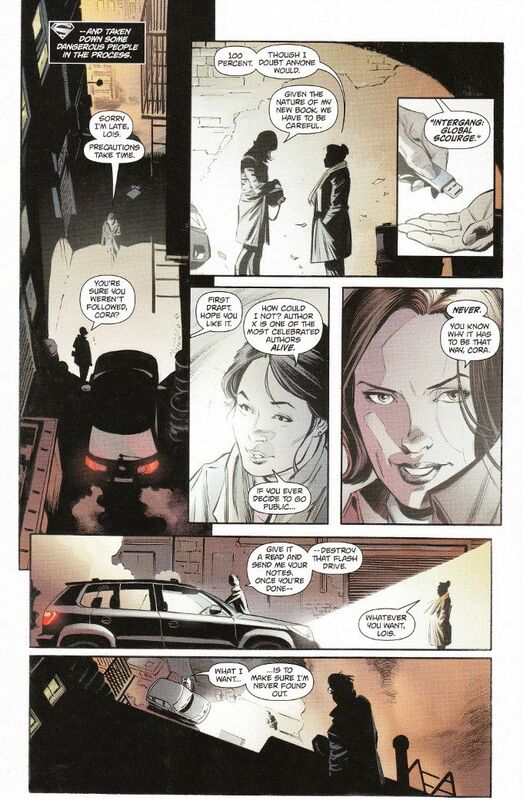 They have delivered unto us the Superman/Lois Lane comic we've always wanted! And it is good! Hyperbolic Old Testament prophet dialogue aside, this truly is a great issue. Dan Jurgens sets up the new status quo and explains away Convergence with economy while delivering a well-placed jab at the reality of the new Earth Prime of The 52 Universe. Jurgens calls it a place without faith, which is an interesting and accurate description of the darker new DC Comics Universe and one senses we're going to see something special here. It's too soon to tell if this series may be Jurgens' Kingdom Come - the first canon shot against a movement against the increasing cynicism in modern superhero stories. But this issue offers plenty of reasons to be hopeful. If nothing else it's nice to see Lois Lane being treated as an equal to Clark and that she gets her own subplot showcasing how she too has become a different kind of hero in facing a new world. The artwork perfectly matches Jurgens' script. Lee Weeks' characters look wonderful and are perfectly enhanced by Scott Hanna's inks. Of particular note is the coloration by Brad Anderson, who depicts most of the world in muted tones save for the superheroes, who are vibrant and colorful figures that stand out all the stronger for that. Many of the pages depicting Lois' story have a Film Noir aspect fitting of the darker, mystery-filled world that Lois inhabits.